You see it everywhere, kids walking home from school glued to their smart phones, computer kids having to be begged, bribed and peeled away from their screens. It’s obvious to see that something doesn’t quite feel right about all this, and today on the blog I have TV Psychologist and wellbeing expert, Honey Langcaster-James sharing her advice on why it’s so important to take regular breaks from technology. Whenever my kids are at home, technology seems to find its way into every aspect of our family life. Left to their own devices (pun intended!) my kids would have their phones out at the dinner table, constantly in their hand when we’re having a conversation and I’m pretty sure they take their phones to the loo with them! If we go on holiday together, family time comes second to their want to document and post status updates about everything from what they eat for breakfast to their toes wriggling on the sand. Obviously smartphones are incredibly helpful devices and have made our lives far easier – they’re our alarm clocks, occasional child entertainer if you have young children and you just need a moment to yourself, and an ever-available camera ready to capture all of those beautiful ‘firsts’ that raising children brings. But as with all things, there’s a time and a place. New research by mental health charity YoungMinds and the Government’s Cyber Aware campaign shows that over a fifth (21%) of young people spend more than 6 hours a day on their smartphones. You might think that they’re reluctant to cut this time down, I know this issue has been raised a few times in my house. But in fact, more than half of them (60%) agree that they would benefit from taking a short break from their smartphones. They instinctively seem to know that their smartphone use occupies too much of their time and they would benefit from a time out. So what’s stopping them from doing this? 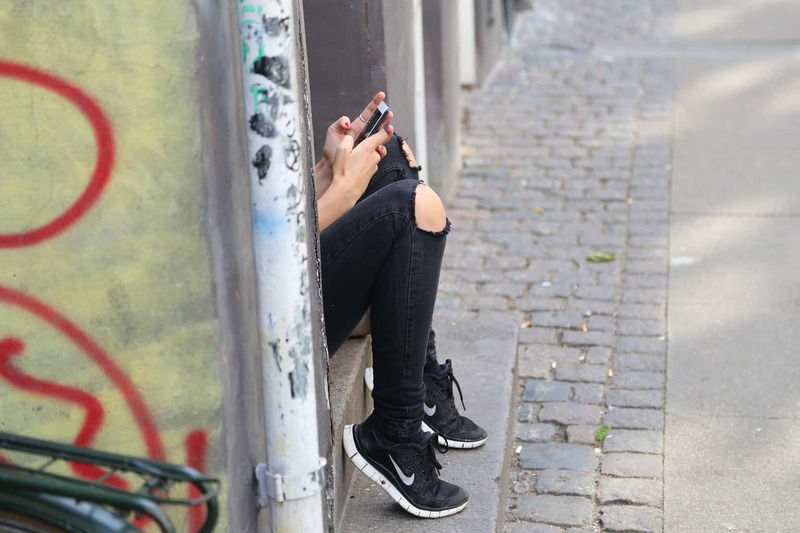 The research found that when forced to go without their smartphones over a third of young people (34%) felt anxious about what they were missing out on. It’s important to understand how different it is for young people growing up in this technology entwined world. For better or worse, life is played out online for them. At any moment a party or an outing could be organised in a group chat and there’s a real fear of missing out on social opportunities if they’re not constantly connected. I’m not suggesting that banning tech outright would be a good idea as there are many benefits to being able to communicate with ease over distance, but as parents we need to help guide our children to see the bigger picture and have a healthy relationship with technology – in turn this would hopefully help improve their wellbeing and social skills. A really easy tip to lessen smartphone usage is to encourage them to take a tech free 15 minute break before bed. We all know that looking at screens before bed isn’t good for us, research shows that it can over-stimulate the brain and interfere with the quality of our sleep. So encouraging young people to set their smartphones to one side for a short period before trying to sleep, and doing something else not involving technology, like taking a bath or reading for example, would give their minds a chance to really wind down and relax. That way they can rest properly ahead of the next day. What’s more, during this tech free time, they can take the opportunity to set their devices to install the latest software and app updates. This is so important to do because they contain vital security updates which help protect devices from viruses and hackers. Another easy way of weaving some regular tech free time into the daily routine is to insist that the dinner table is a tech free zone. Try to make this a time for conversation and sharing the highs and lows of the day. Going around the table and asking everyone to share the details of their day, making sure to make eye contact as they do, is a great way to really bond as a family and create a secure support network for one another. It’s not just the kids who are guilty of spending too much time using tech. It can be very tempting for parents of young children to constantly have their phone to hand either to chat to other adults or to take lots of photos of their little darlings to share on social media. However, there’s a risk that too much phone use by a parent of a younger child can affect the relationship you have with your younger children. Even if you’re using your phone to take photos of your little ones, they can mistake this for your interest and attention being focused on the tech and not them. During those early years it’s incredibly important to establish a secure bond and to be a stable source of support for them to be able to flourish. 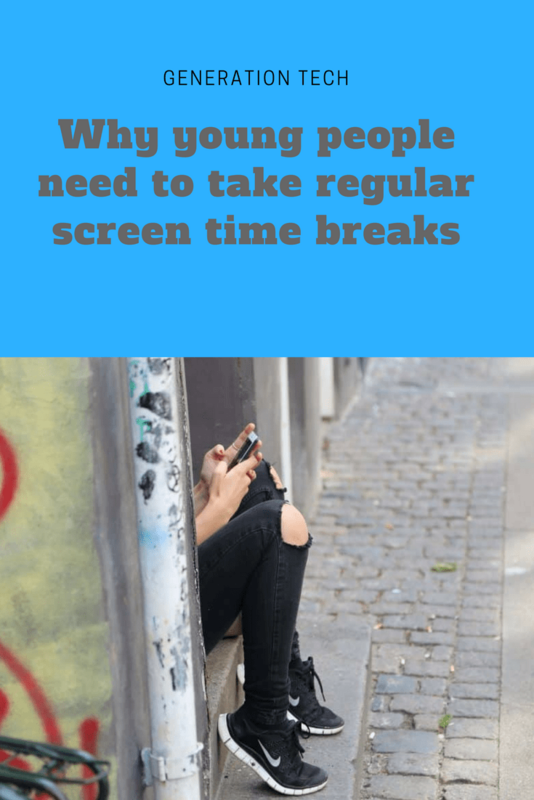 So when you’re with your children try to resist the temptation to spend time on your devices, take a tech free break while you focus on the kids and save tech time for the moments when they’re occupied or in bed. Once they’re asleep you can take all the pictures you want, and let’s face it, there’s nothing more picture-worthy than a beautifully quiet, sleeping child, whatever their age! I’m really pleased to be working with Cyber Aware to help encourage us all to take regular 15 minute breaks from our tech devices and to use that time to install the latest software and app updates while we do. What do you think about the above advice? Are you concerned about the amount of time your children are spending in front of the screen? What steps do you take – if any – to ensure they have regular breaks away from technology. Do share in a comment below. Previous #COOLMUMCLUB is back in business!